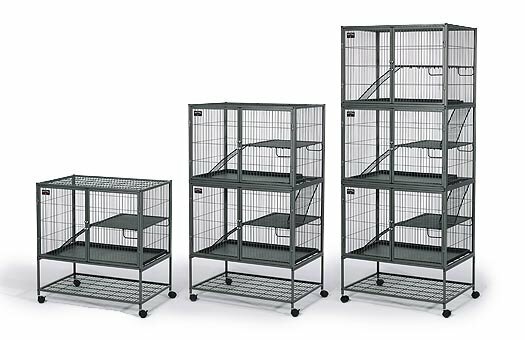 On this page as with my "Best Cages to Buy" I will teach you what good and bad cages look like. 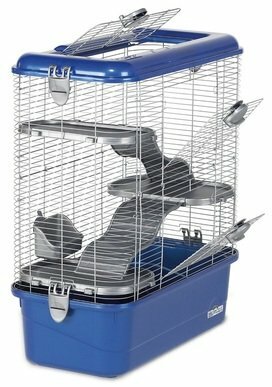 In this way you can get appropriate, safe caging for your pet rats. These are completely inappropriate for rats. Most if not all are made by big box super stores and marketed to make money and are disposable. They will get chewed up in days or weeks and are a danger to you pet because of swallowing the plastic. Or they are WAY to small for rats in general. Do not buy these cages! The 1st on my list and the worst offender for unsutableness for rats. While its all metal, its too small for an adult rat. And not big enough for rats over 5 weeks old. An adult rat with its tail out wont be able to turn around in it. The levels are 1/4" wire and the poop cant fall through it. It just mashes into it causing bumble foot. Bumble foot is an infection to the foot caused by getting pee and poop in a wound. And this cage will cause it fast. 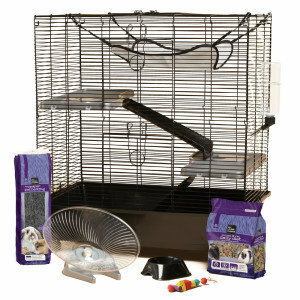 2nd offender on my list is the Pets Mart All Living Things Starter Cage. Its all plastic levels and ramps are chewable and dangerous to the rats tummies. 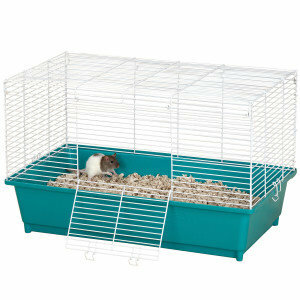 These levels, ramps and cage bottom have been known to be chewed through in 2 weeks from the purchase date. Waist of money and an unsafe money maker for this super store! OK need I say anything here? This cage is not big enough for baby rats. Its all plastic dangerous, and just plain abuse! This goes for all models of Super Pet cages because of them being cheap and dangerous plastic. Ok, rats need several levels to climb on. They cannot be restrained to one flat level with no where to go. They have a lot of energy and need to expend it. If they don't have room to use up their energy they will do things like chew through the cheapy dangerous plastic bottom this cage offers. This cage will be shrapnel in less then a month. This cage is built for ferrets. Not rats. Adult males of 2-3 lbs can and do walk right out of it with ease. 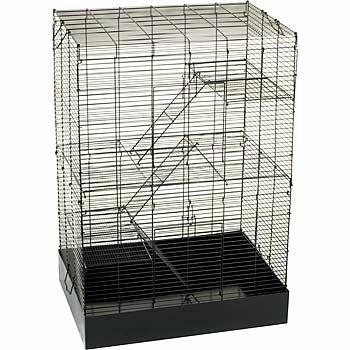 Just because someone has had rats in these cage and has not had an issue with the rats getting out does not make it appropriate. The rats will get out of this cage. The rats are more important than getting a big cage for free or for cheap on Craigs list. Which is usually where people get this cage.